How to get Google Pixel's AR Stickers on Samsung Galaxy Note 8 (Exynos). 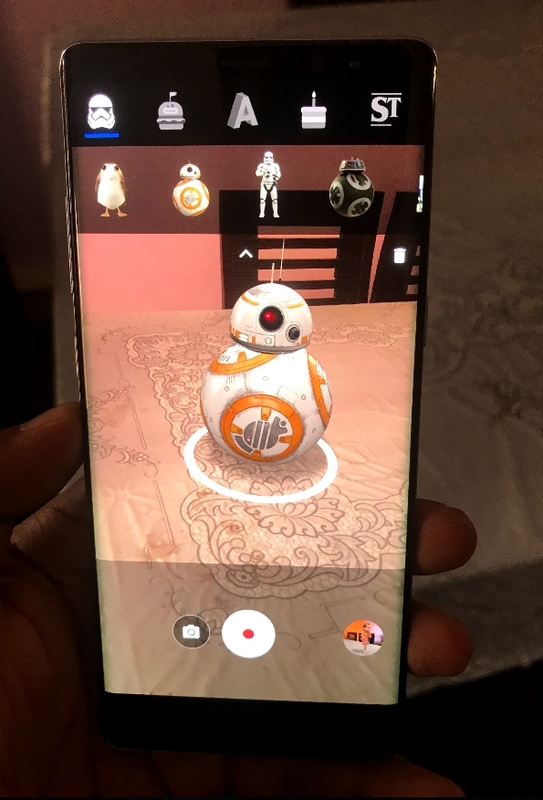 HomeAndroidHow to get Google Pixel’s AR Stickers on Samsung Galaxy Note 8 (Exynos). 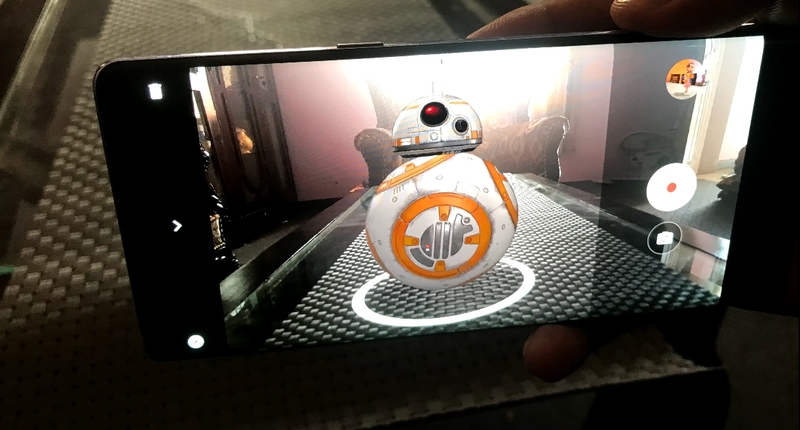 AR Stickers Note 8 Guide: Today we are here with yet another awesome trick up our sleeves. The famous Google Pixel AR Stickers are all over the Instagram, twitter or Facebook at the moment. But if you have a Samsung Galaxy Note 8 (the Exynos Variant). You can still download and install the AR Stickers on Note 8. This is simple and easy step by step guide. For those of you who are not familiar with the term AR Stickers, It’s the new camera features in the official Stock Android Oreo (Google Pixel 2). Where you can put any Augmented reality character (Sticker) in your captured shot from the camera. There are some AR Stickers examples attached here. All you have to do is make sure to download these 3 super easy apps on your Note 8. To make it drive the latest feature of the Google Pixel Camera on your Samsung Galaxy Note 8 Camera. So that you can share some cool AR Stickers from your Note 8 device on all-over social media. Don’t forget to mention the #TakenWithNote8 with your images. One more thing to mention here is that these AR Stickers will only work on the Samsung Galaxy Note 8 Exynos variant. Mostly known as the International variant with model numbers SM-N950F, N950FD etc. Also the Note 8 should be updated to latest Android Oreo 8.0. If you have the above mentioned model of Note 8 but you are still running the old Android Nougat 7.0 on it. You can download and install Android Oreo 8.0 Official Stock ROM for Note 8 from here. All you have to do is simply install these three apps. All in the same order given here. Also make sure that you have enabled the Unknown-Source app installation on your device. One more thing is make sure to allow Google Drive app installation. Because the AR-Sticker package that doesn’t gave a Error parsing package is given as the drive link and installs directly on your device. Step 1: First of all download this app called ARCore. Step 2: If you have any issues downloading the app. It is advised to go for Atom Visualizer for ARCore. As it will automatically download and install ARCore on your Note 8. Step 3: Now its time to go for AR Stickers. There are many versions available at Apkmirror. But you would find the Error-Parsing Packege while installation. So here is the modified AR Sticker version for Note 8. Download vr.apps.ornament_1.0.171127163-V1.1.apk. Step 4: Now you will need GCam or Google Pixel Camera Apk. You can either download Google Camera 5.1.018.177470874.Apk from apkmirror. Or simply get this working version of Gcam for Note 8. Step 5: Once done. Simply Open the Google Camera app or GCam App. Step 6: You might see red dot on the three lines menu bar on Top Left of the screen. Tap on it. And select AR Stickers Mode from the menu. That’s it. Now you can enjoy the pleasure of taking some of the best shots loaded with AR Stickers from your Samsung Galaxy Note 8. Make sure to share this AR Sticker for Note 8 tip with your friends. Also subscribe to our blog for more such tips and tricks.